Tong Li, a Chinese paper-cutting artist, taught herself how to paper-cut at a young age. Butterfly-cross paper cutting art is one of her special created cross art work. Her paper cutting is unique and special. 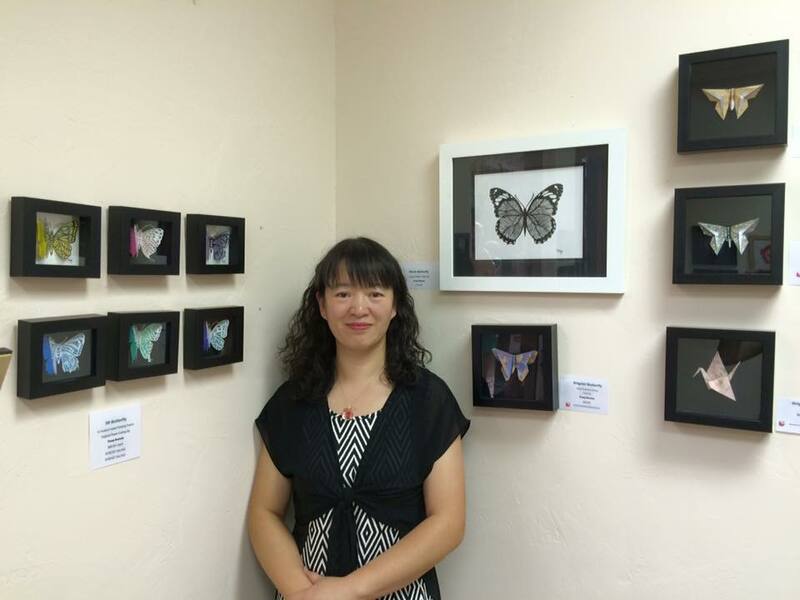 She opened her own Tong's Art Studio (李彤纸艺), her studio is at #109 gallery in Sunset Art Galleries in Amarillo, Texas, September 2014. She displays and teaches paper cutting in her studio. More about her story at here. Her paper cutting website: Tong's Paper Cutting.